To my knowledge, Beerdigungs Lauten were the very first extreme metal band in Armenia. The band was formed in 1993 by two former members of Demon Spirit (Armenian clone of Slayer, with no known releases), after they started listening to such bands as Napalm Death, Cannibal Corpse, Morbid Angel, Pungent Stench, Disharmonic Orchestra, Atrocity, Righteous Pigs, etc. and decided to play more brutal music. During the autumn of 1993 they held their first rehearsals at Armgiprodor (a scientific faculty outside of Yerevan). The winter of 1993-1994 was very hard for them, as well for the citizens of Armenia as a whole: constant electricity outages, war in Nagorny Karabakh, economic blockade by Turkey and Azerbaijan, etc. However, in spring of 1994 they got lucky: an Yerevan-based band called Dumbarton Oaks offered them a rehearsal base. They got all the needed equipment shortly thereafter, and recorded their first and only demo at Ardzagank studio after two months of rehearsal. After that, they were invited to the "Barev" TV show, which was their first appearance on TV. 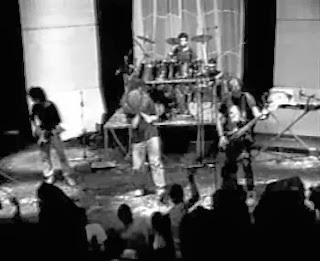 After 1995 the band was pretty inactive, but they finally split up only in 2004 after playing a final concert in Yerevan.